The Canon 5D mark IV has changed the way that I shoot and edit my landscape photography. You will either love or hate this new trick. The dynamic range of the Canon 5D Mark IV is a huge improvement over previous generations. What is truly impressive though is the amount of detail that can be pulled out of underexposed and shadow areas. Even a 2-3 stop increase in exposure will still lead to a relatively clean image, especially when shot at ISO 100. Subconsciously I have started to use it to my benefit especially in some of the landscapes I have been shooting lately that contain huge dynamic range. Purposely underexposing the image as a whole has allowed me to capture the highlights with perfect exposure and then raise the shadows in post-production using Adobe Lightroom. The main benefit is a huge saving of time with barely no downside. Normally capturing a scene with such wide dynamic range would require the use of multiple exposures by bracketing, HDR, blending or the faff and inconsistent results of physical ND grads. The Canon 5D Mark IV lets me do it with one exposure. The speed at which I am now capturing landscape photography, and then later editing it in Adobe Lightroom has improved my overall work flow. I can now deploy that time on other things and really concentrating on the story I want to tell with my work. At the end of the day, that is what I am trying to do. This video is the full live landscape photography editing session from the images I captured on my recent vlog at Ingleton Waterfalls and Ribblehead Viaduct. The post processing is done in Adobe Lightroom. The video is relatively long and probably not for everyone but gives you the chance to really see how I edit my images from start to finish. During the edit I discuss several Lightroom editing techniques such as using the graduated filter tool. I also provide more information about the composition of the shots shots and discuss the rule of thirds and leading lines. If you find the format of the video useful please let me know and I will document my future editing sessions in the same way. In this landscape photo editing session I use Adobe Lightroom to post process all the images from the recent Flamborough vlog. This video is the full live landscape photo editing session from the images I captured on my recent vlog at Flambrough Head. The post processing is done entirely in Adobe Lightroom. The video is relatively long and probably not for everyone but gives you the chance to really see how I edit my images from start to finish. Especially when I made a couple of silly mistakes at the time of shooting. Finally, for those of you who celebrate it, have a very Merry Christmas. To everyone else, i appreciate you watching, you are awesome. 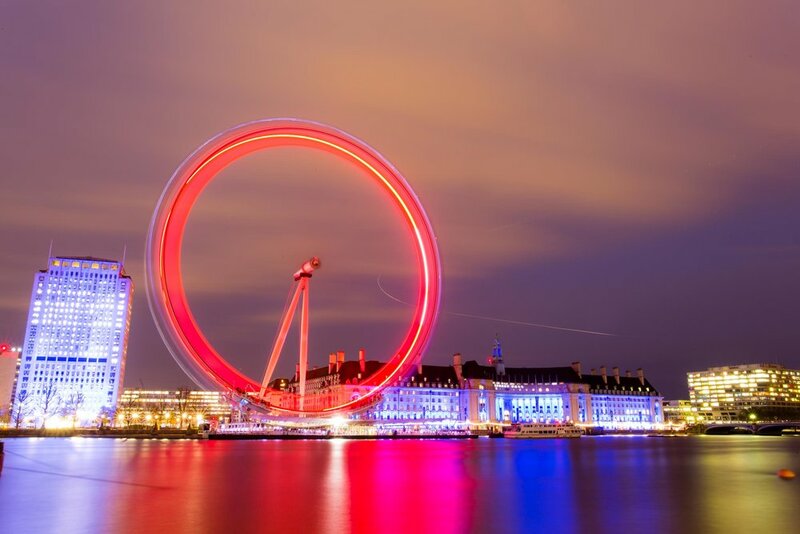 See how I use Abobe Lightroom to edit this long exposure of the London Eye. On my recent trip to London I had a very small amount of free time that I put to good use to head out and take a few shots around the Westminster area. This included a long exposure photo of the London Eye. Whilst it is not a totally unique shot, it is one I have wanted to capture for a while to have it in the bag. Normally when shooting a long exposure I will use a 6 stop or 10 stop neutral density filter to cut down the light coming into my lens. It was already dark in this situation though so using the filters would have resulted in a very long exposure time when maintaining an low ISO. I therefore wanted the longest exposure I could get without the filters and this meant going to f/22 with the Canon 17-40mm lens. The exposure ended up being about 3 minutes which is enough to give the nice ring of light on the wheel and smooth out the River Thames. I shot the image at 28mm. I would have liked a slightly wider composition but there were floating cranes at either side of me blocking the view. In the video I put the long exposure image into Adobe Lightroom and go through the edit. The edit is very simple as we remain in Adobe Lightroom but you will be able to get a feel for the editing process I go through when I am in post-production. Hopefully you will be able to pick out what you like, and what you don’t like, and apply the techniques to you own images. To have a go editing this image click the link below to download the RAW file. Feel free to use image for personal use, including printing. All I ask is that you credit me if you share it online. If you haven't done so already, please Subscribe to the YouTube channel for new videos every Wednesday and Sunday. Post-processing a water drop photography shoot. In this video I go through the post processing of the images shot in the previous video where I cover how to use the SplashArt 2 water dropper to shoot water drop photography. Post processing or editing is a vital part of the photography process and when it comes to water drop photography things are no different. The process starts when importing the images to a computer. In the video I already had the images on the computer thanks to shooting the session with the camera tethered. This is an extremely useful way of shooting studio photography as it allows you to view the images full screen rather than relying on the cameras own screen. Instantly being able to see all the detail of an image is a clear advantage. With the images already on the computer it is then a case of assessing the images and discarding the ones that are not useable or simply not to your standard. Adobe Lightroom offers a number of options to rank and rate your images. My workflow involves initially flagging the images I am happy with and then making a second pass to score the images using the star ratings. This quickly highlights which images from a shoot I will editing, speeding up my workflow. I then enter into the editing process. With water drop photography, using Adobe Lightroom water drop images from the same shoot can be made to look very different. 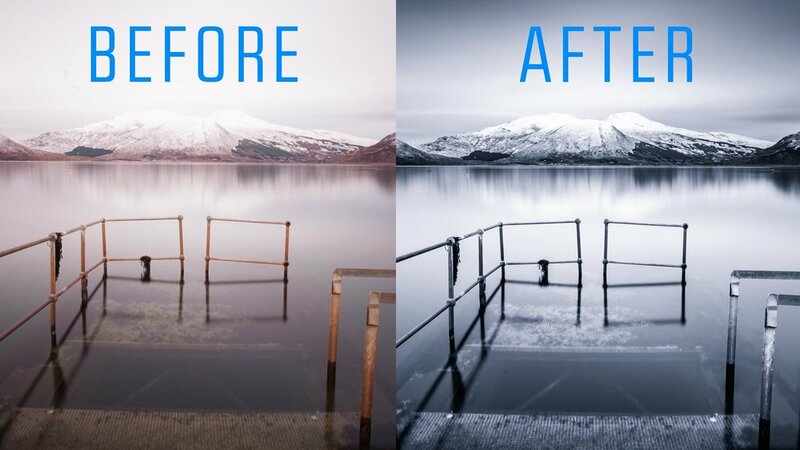 This comes mainly through the powerful colour adjustments that Lightroom offers when working with RAW images. The video goes through the editing of the water drop photos with my editing techniques and workflow being explained. The workflow is very similar in any photo shoot so can be applied to almost any type of photography.